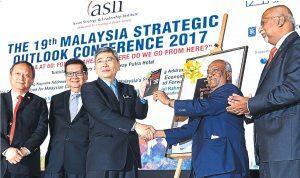 Shangri-La Hotel, Kuala Lumpur, 20th April, 2016: Established as a beacon to guide the nation towards management excellence half a century ago, the Malaysian Institute of Management (MIM) has, over the past five decades, upskilled tens of thousands of managers through its many training, certification and other affiliated programmes. 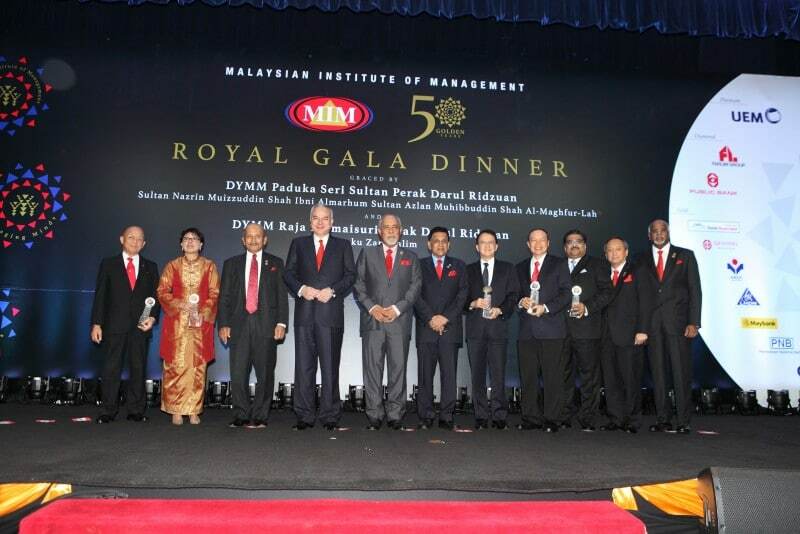 This evening, at its 50th Anniversary Royal Gala Dinner graced by the Royal Highnesses of Perak, Sultan Dr. Nazrin Muizzuddin Shah and Raja Permaisuri Tuanku Zara Salim, MIM paid tribute to five individuals whose exemplary leadership has helped deliver sustained success in each of their respective fields. Sultan Dr. Nazrin Muizzuddin Shah, who previously spoke at the Institute’s 25th Tunku Abdul Rahman Lecture Series on the importance of preserving ethics and integrity in leadership, presented the exclusive MIM awards. 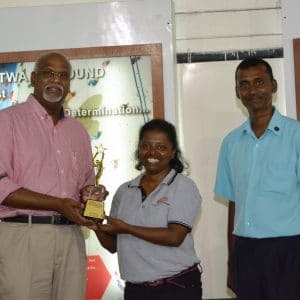 MIM Chief Executive Officer, Mr Sivanganam Rajaretnan, said: I’d like to congratulate all the worthy winners. While each recipient is well-known for being visionary, creative, agile and adaptive, they are also highly respected for acting with consistent integrity and an unwavering commitment to their core inner beliefs. MIM is Malaysia’s national management organisation, positioned at the forefront of management best practice. As an acknowledged leader in professional training and development, MIM has continued to grow over the past 50 years, both in stature and membership support. With the 11th Malaysia Plan firmly in place, MIM has an important role to play: to train the present and future workforce, equipping them with the relevant knowledge and expertise to take on increasingly challenging roles in a globalized world, moving Malaysia towards achieving world-class status. Royal Gala Dinner Organising Chairman, Tan Sri Dato’ Seri Megat Najmuddin bin Datuk Seri Dr Megat Khas, concluded: As human resource professionals, no-one believes more than us that people are an organisation’s most important resource. I’d therefore like to sincerely thank all the MIM management and staff who worked so hard to ensure the success of this evening’s event.